Ever since the Olympic games official commenced, one of the most notable elements I have taken away from the activities each day is the conscious effort that has been given to ensuring Korean culture is represented. 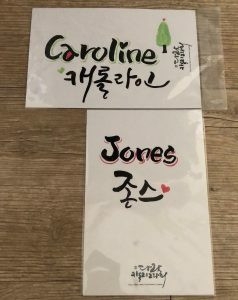 In each of the separate venues there are free Korean cultural displays or interactions available for those in the area. Personally each of these experiences I have stumbled across are also free of charge – making them even more difficult to pass up. 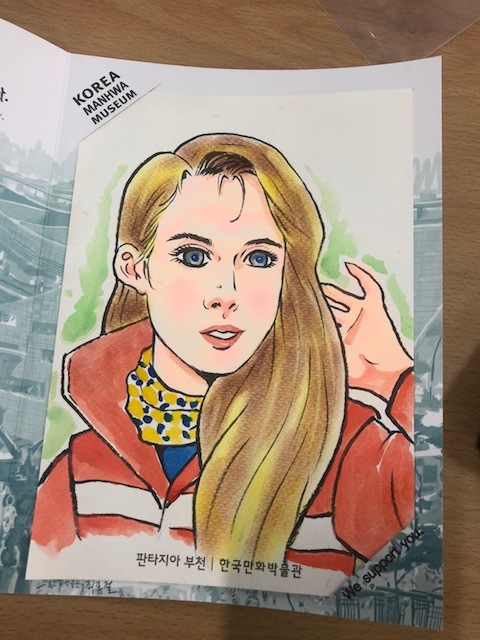 Today during my shift to collect transportation data at the Athlete Village I had the opportunity to have my portrait done in Korean caricature style. The artist who worked on my caricature was a treat to speak with while he worked and I know that I will keep the finished product forever. In return for his generosity I rewarded him with one of our GW Winter Trek pins; pins act almost as currency in the Olympic world. 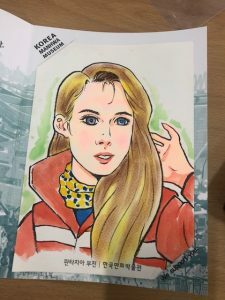 The excitement for sharing elements of Korean culture with those of us in PyeongChang for the games is not confined to the gates of the Olympic parks. Yesterday while exploring the area and businesses surrounding our accommodations, which are about a mile from the main Olympic park, I had the pleasure of interacting with several business owners who were so excited to have me in their shops or viewing their work. I passed one small store with calligraphy art for sale and decided to stop in to take a better look. While in the store I realized they did custom work and decided I wanted to commission a few simple pieces to take home. 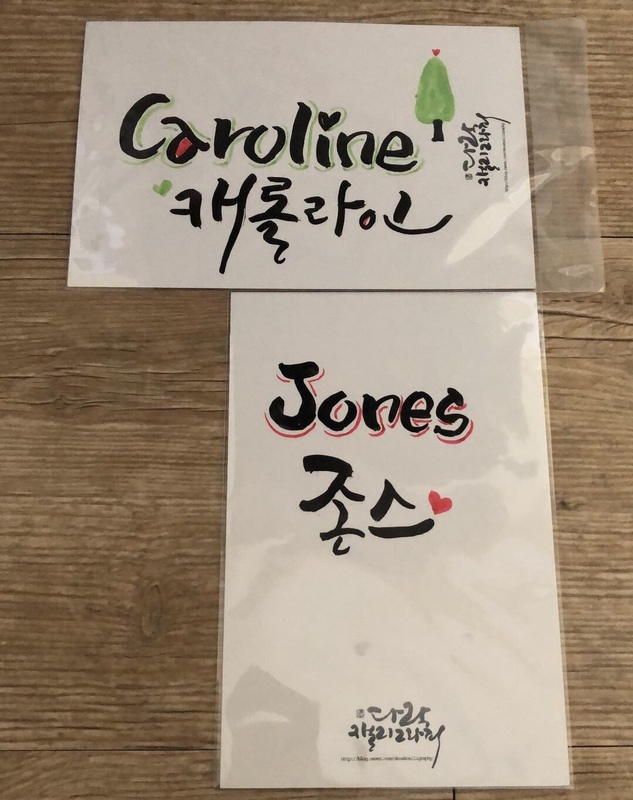 After the store owner connected me with her daughter via phone for translation, I was able to have her create a couple of really amazing postcards that I also plan to keep forever. When I tried to pay for the work the woman refused and her daughter explained that the purpose of her shop was to help spread Korean culture during the games. Moments of generosity like this are becoming the norm rather than the exception of the Korean people. I again provided a GW winter pin as a small token of my thanks for the beautiful work. ← A Great Big Warm Willkommen!